Last Saturday, on March 24th, a naming ceremony for Olympic Shipping’s new Platform Supply Vessel took place in Ålesund. The naming of the vessel, now called Olympic Energy was performed by Godmother Marianne Synnes. After the ceremony, the ship was open to the public and about 1500 people used the chance to study the ship up close. Olympic Shipping AS, STX OSV and the Training Office of Maritime Studies were represented at the deck, where those who were interested could get further information about the ship and job opportunities in the business. Olympic Energy is a PSV 06 LNG design, to be delivered from STX OSV, later this month. The vessel is designed as a platform supply vessel for worldwide operations and transport of general cargo for offshore industry. The vessel is of environmental friendly design, with low resistance hull shape designed for high speed and low fuel consumptions. Its main engines are driven by liquefied natural gas. 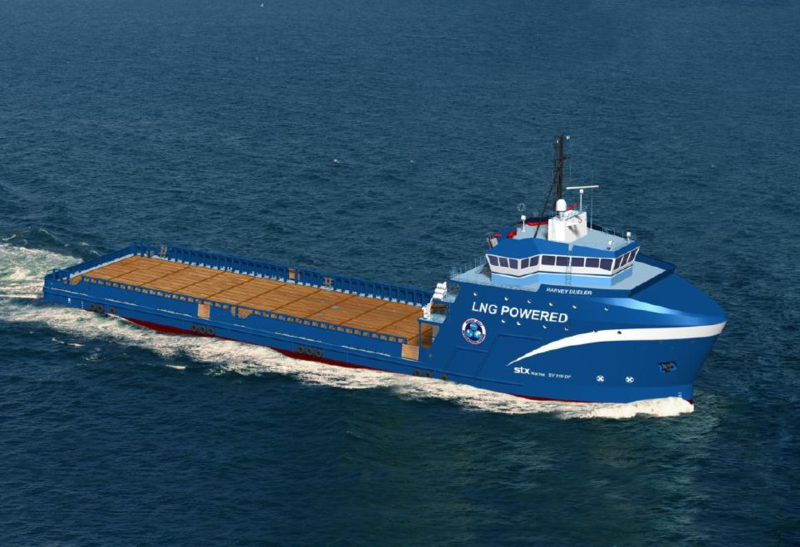 Eidesvik has entered into an agreement with Lunding Norway for chartering of the LNG powered supply vessel Viking Prince, which will be delivered from Kleven Verft 30th of March 2012. Viking Prince will replace Viking Athene in the existing contract between the two parties from the time of delivery, which means that Viking Athene will be released from duty from the same date. The original contract was firm for 4 drilling wells, with charterer’s option for another 6 wells. At the time Viking Prince commences the contract, Lundin is near the completion of the 2nd well. “We are excited over the fact that the vessel will commence a contract from the time of delivery. 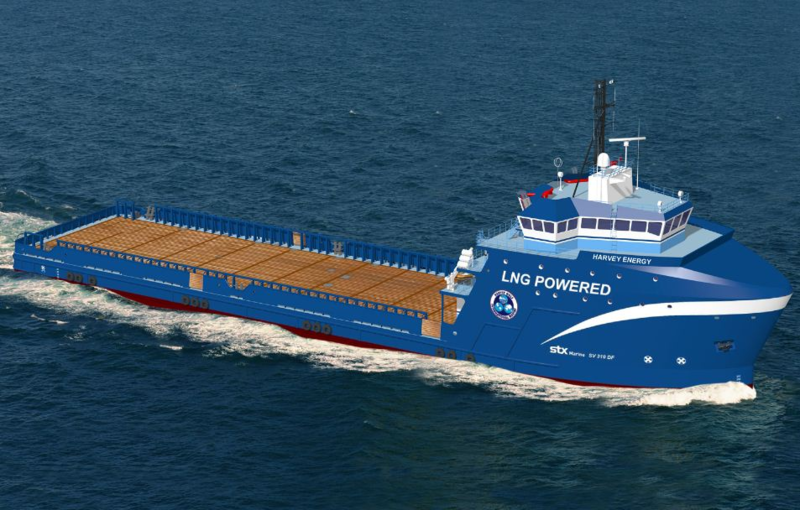 It is delightful to see another operator on the shelf start using LNG powered supply vessels. For us it is satisfactory to be in the position to offer a vessel of the highest quality to a fast developing operator with an exciting future,” says CEO Jan Fredrik Meling in a comment. 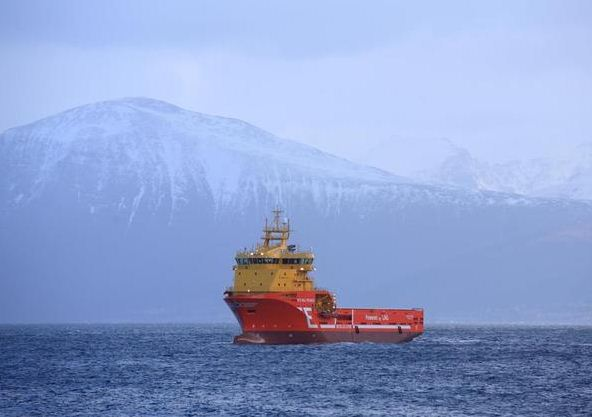 Solstad Offshore ASA (SOFF) has today taken delivery of “Normand Arctic” from STX OSV AS, Langsten. 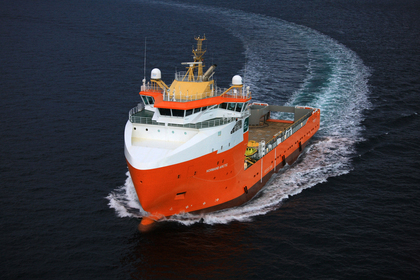 “Normand Arctic” is a large LNG fuelled plat­form supply vessel (PSV). The vessel will be trading in the North Sea for Statoil for a firm period of 3 months with additional 5 montly options. 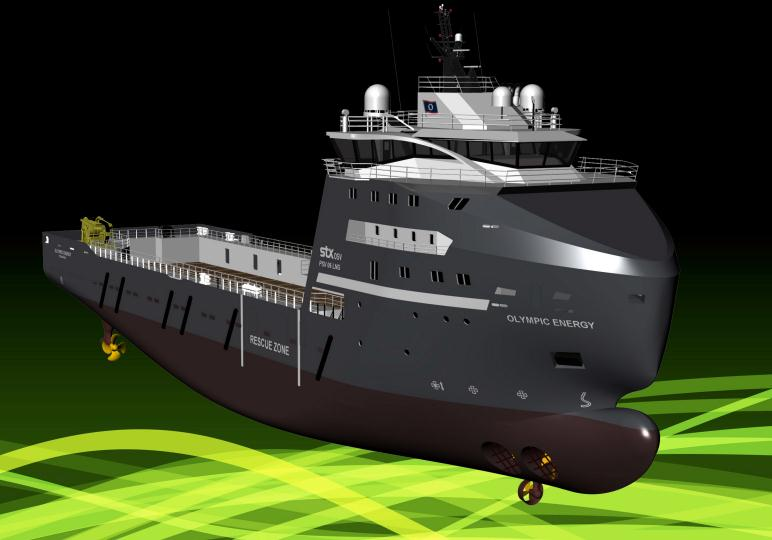 Wärtsilä has been awarded a contract in October 2011 to supply liquefied natural gas (LNG) propulsion equipment for two advanced offshore supply vessels owned by Harvey Gulf International Marine. These supply vessels will be the first ever U.S. flagged platform supply vessels (PSV) to be powered by clean, safe and efficient LNG. The contract includes options for supplying propulsion equipment for additional follow-on vessels. Wärtsilä will deliver an integrated system that includes the dual-fuel machinery, electrical and automation package, complete propulsion, and also the LNG fuel storage and handling components. The STX Marine Inc SV310DF Offshore Support Vessels will be powered by Wärtsilä 6-cylinder 34DF dual-fuel engines. The LNG storage capacity of 290 cubic meters (m3), enables more than a week of vessel operational time. In addition, the vessels will carry 5520 tons of deadweight at load line and have a transit speed of 13 knots. The vessels are scheduled for delivery in two years and will operate in the Gulf of Mexico. Mr Shane Guidry, Harvey Gulf International Marine’s Chairman and CEO, states that the stringent governmental demands for reduced emissions, together with predictions that availability of ultra low sulphur diesel fuel will be restricted, caused the company to consider the use of gas as fuel. “We’re committed to bringing the world’s best technologies to our customers, and these vessels with Wärtsilä’s integrated system based on the use of LNG further demonstrates Harvey Gulf’s Going Green Vision,” he says. “We are witnessing a transformation of the marine industry as it charts a course towards a new era for natural gas. It’s exciting for Wärtsilä to be a trusted partner in this launch with industry leader Harvey Gulf, whose natural gas supply vessel investment actions of today signal a coming paradigm shift. This is aimed at capturing operational savings while simultaneously reducing emissions,” says John Hatley, Vice President Ship Power, Wärtsilä North America. Wärtsilä has been at the forefront in the development of highly efficient dual-fuel engine technology, allowing the same Wärtsilä 34DF engine to be operated on either gas or diesel fuel with full EPA emissions Tier 2compliance. This dual-fuel capability means that when running in gas mode, the environmental impact is minimized since nitrogen oxides (NOx) are reduced by some 85 per cent compared to diesel operation, sulphur oxide (SOx) emissions are completely eliminated as gas contains no sulphur, and emissions of CO2 are also lowered. Natural gas has no residuals, and thus the production of particulates is practically non-existent. Drawing from decades of experience in the development and application of natural gas engines for both the power generation and marine industries, Wärtsilä is the global leader in this advanced technology. Wärtsilä recently passed the 3 million running hours milestone with its dual-fuel engine technology. On July 28, 2011, Harvey Gulf International Marine’s Board of Directors approved the construction of the first United States flagged LNG Offshore Supply Vessels. Harvey Gulf International Marine’s Chairman & CEO Shane J. Guidry stated that this is another example of Harvey Gulf’s commitment to meet its clients future needs. Mr. Guidry said that a contract will be awarded to a US shipyard on or before August 28, 2011. The SV310DF vessels, designed by STX Marine Inc., will be dual-fuel with LNG capacity for seven days with three (3) engines at full RPM. In addition, the vessels will carry 5520 tons of deadweight at load line and have a transit speed of 13 knots. Mr. Guidry stated that, with the stringent Governmental demands for both reduced emissions and clean burning energy use, Harvey Gulf has decided to make the capital investment of 100 Million Dollars for two vessels. STX Marine Inc., with offices located in Vancouver, British Columbia and Houston, Texas, is a consulting naval architecture and marine engineering company established in 1983 and is the leading designer of offshore support vessels for the North American and International markets. Founded in 1955, Harvey Gulf International Marine is a marine transportation company that specializes in towing drilling rigs and providing offshore supply and multi-purpose support vessels for deepwater operations in the U.S. Gulf of Mexico.